Turning virtual dreams into reality // Can racing games really lead to a professional career? If you cast your mind all the way back to the end of January, you may remember we made a trip to the Porsche Human Performance Centre and met a chap called Mike Garth. At the time he mentioned he'd just finished working on a television show that attempted to discover a real life racing talent from a collection of bedroom gamers. 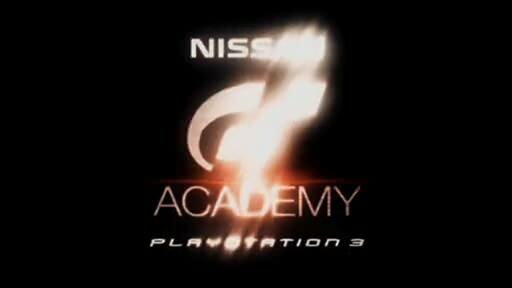 That programme has now been released, it's called GT Academy and is currently airing in the UK on Dave. The brief was to find out what happens when you take 25,000 gamers, from 7 territories, all playing Gran Turismo 5 Prologue and then try to whittle them down to just two finalists capable of racing in the 24hrs of Dubai. A proper race, for experienced and professional race drivers. Mike of Sun 1400 took the role of Head of Race Psychology, in a team of four judges which also included Eliot Challifour (who trains with Mark Webber and is a key member of the Porsche Driving Experience Centre), named as Head of Fitness. Sports car ace and ex. F1 driver, Jonny Herbert turned up to offer a few words of advice and encouragement for the hopefuls. Four 25 minute episodes make up the series and depending on where you are in the world, you may be able to watch them online at Joost. I especially enjoyed the poor guy who lost his team mate mid-way through a karting competition, and found himself having to sit in a plastic seat for more than three hours, putting in 168+ laps in the process. Given our own mild mannered karting escapades earlier this year, that sounds like incredibly hard work. The key question posed during the series was, do virtual skills transfer to reality? Mike said that before filming he was sceptical that they could, but did find himself surprised on a number of occasions. With the highly anticipated Formula One game from Codemasters rumoured to be heavy on realism, one wonders whether it can match GT5's legendary physics engine and one day offer future F1 stars the chance to make it big, via the TV in their living room? The virtual world of motor sport simulation just got a whole lot more interesting. Check out the program this Saturday at 7pm and let us know what you make of it all. Previous post So you want to be a racing driver?